If you’re like many homeowners, then you want to do what you can to protect your house from damage. However, crawlspaces are areas of the home that are often ignored but could benefit from crawlspace waterproofing services. Crawlspaces can provide pests with easy access to your home, allowing them to enter and damage the building’s structure. Continue reading to learn why you should consider crawlspace encapsulation in Baltimore if you want to protect your home from pests. When a crawlspace isn’t sealed, it can give critters like rats, mice, raccoons, opossums, termites, and cockroaches an easy way to access your home. Crawlspaces can be attractive to these pests because they are often cooler in the summer and warmer in the winter due to your home’s air conditioning. Also, these spaces are prone to excess moisture, and water will always be attractive to pests and animals. Finally, the excess water in a crawlspace can cause wood in the structure to rot, making it highly attractive to termites. For these reasons, scheduling crawlspace waterproofing services and installing a crawlspace dehumidifier is an excellent way to help protect your home. When your home has a mold problem, scheduling mold remediation is important not only to protect your property but to ensure the health of your family, as well. Watch this video to learn about the importance of black mold removal in Baltimore in safeguarding the health of your household. When your home needs mold remediation, some of the symptoms that your family may experience include itchy and watery eyes, a runny nose, throat irritation, coughing, sneezing, worsened sinusitis symptoms, and asthma. A few severe symptoms associated with black mold exposure include dizziness, decreased attention span, and headaches. If you have black mold in your home, see a doctor about your symptoms and schedule black mold removal services. If you’re like many homeowners, it’s possible you don’t go into your basement all that often. You may avoid your basement because of the way it smells or feels, but a flooded basement in Baltimore is not something that should be ignored. Whether you have a small or large amount of moisture in your basement, it can quickly turn into a significant mold issue. Basement waterproofing can help prevent the damage that mold causes, including health issues and structural problems. Keep reading to learn more about the dangers of basement mold growth. Many people associate cool air with basements, but a dank or musty odor can be a sign of a problem. Mold in the basement gives off an unpleasant odor that is fairly easy to identify—but much more difficult to eradicate once it’s there. If you smell what you believe is mold in your basement, professional home mold remediation may be necessary to thoroughly deal with the problem. Mold can hide under your floors, in walls, in ceilings, and in drywall, making it difficult to get rid of on your own. While you might be willing to live with an unpleasant smell, there are other consequences of mold growth that are much harder to ignore. Your home is one of your biggest investments, and it’s up to you to make sure it is properly maintained for your family’s health and safety. If you have mold in the basement or in your crawlspace, it can create issues in other parts of your home. 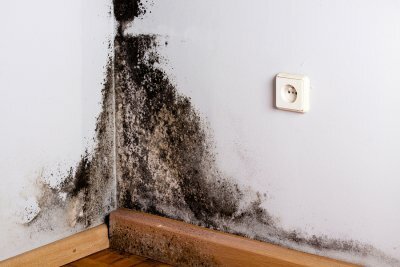 Mold grows and spreads rapidly, and can cause major damage if it is not dealt with properly. It can damage floorboards, walls, and insulation, making mold remediation a major undertaking. 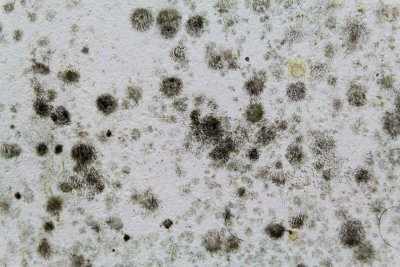 If you’re not convinced of the dangers of mold yet, consider its effect on your health. People who have allergies may experience more severe symptoms in the presence of mold, including skin and respiratory issues. Those who are dealing with compromised immunity are particularly susceptible to mold exposure. Basement waterproofing is one step in improving the health of you and your family. There are a few different ways that water can get into your basement. A flooded basement can damage your home’s structure and cause mold to grow, which can affect your health. When you have a waterproof basement in Baltimore , you’ll be protecting your home against the different possible causes of basement moisture. Watch this video to learn about the benefits of basement waterproofing and the water table. When there is a lot of rain, especially over an extended period of time, it can saturate the ground and raise the water table. If you are not ready for this change, it could lead to major problems in your basement. As the water table rises, water can force itself into small cracks in your foundation and make them bigger, and lead to a flooded basement. Take the proper measures with basement waterproofing to prevent damage from a changing water table. Do you know why basement waterproofing is so important? There are a few reasons to call your basement contractors in Baltimore to learn more about sealing off your basement and crawlspace from moisture. 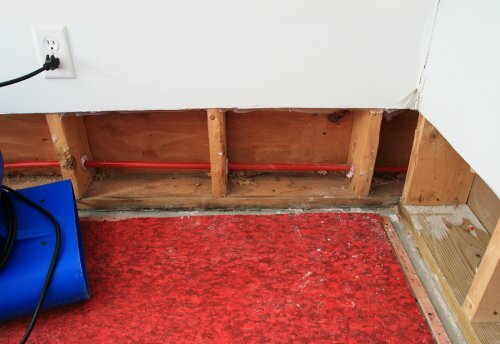 A leaky basement can create a number of problems with your home’s structure, such as damage to floorboards, walls, insulation, and the need for foundation repairs. When there is moisture in your basement, it also brings up health issues for you and your family. Mold growth in the basement causes a dank odor, one of the telltale signs that you have a leaky basement. If you or someone in your family has started to have unexplained allergic reactions, it could be due to mold. Mold can cause allergies or exacerbate existing ones, and may also aggravate asthma. Itchy, watery eyes, a runny nose, and skin irritations are also common as a reaction to household mold. By taking care of the mold in your basement through home mold remediation and basement waterproofing, you can improve your family’s health and quality of life. Have you noticed that you have standing water in your basement? A wet basement or crawlspace can indicate that you are at risk for water damage, which can lead to mold growth and even pest problems. Moisture in your basement or crawlspace may be a result of a cracked foundation, an issue that poses problems for your health as well as your home’s structural integrity. Basement waterproofing in Baltimore can help get rid of moisture problems under your house so your mold problems improve. Read on to learn more about fighting back against water in your basement and crawlspace. Even if you haven’t had a flooded basement, it is still possible that you have too much moisture down there. Look for dark spots or streaks on your basement walls, ceilings, and floors. If you see such markings, it can mean there has been excessive water in the area. Don’t forget to check around the outside of your home for similar marks, as even if the water problems are currently relegated to the exterior, they can eventually make their way inside. When you have a waterproof basement, you won’t see any of these signs of moisture. Sometimes, the signs of moisture in your basement or crawlspace will be much more evident in the form of standing water. After it rains, water should drain away from your house. However, if you see standing water around your foundation, it means you do not have the proper drainage set up. That water can eventually seep into your foundation and cause cracks, and may work its way into your basement, too. Basement waterproofing is an excellent choice for keeping your home free of moisture. If you have a crawlspace, consider waterproofing this area as well. By waterproofing these areas, you’ll greatly reduce the chances of mold growth and make your home a more pleasant place to reside. Crawlspace waterproofing also helps prevent damage in your home such as peeling paint, flooring damage, and damage to other household possessions. When a new home is constructed, often the basement crawl space is vented to prevent moisture problems. However, if a home inspection reveals mold in your basement or crawl space areas, you may be a candidate for crawlspace waterproofing. With crawl space encapsulation in Baltimore , you will be able to completely seal your crawl space off from the elements. Special crawlspace waterproofing materials will be used to keep water, mold, mildew, and pests away from this vulnerable area of your home. To help you decide whether this service is the right choice for your home, here are some questions that you may want to ask your basement contractors about crawl space encapsulation. What Are the Common Methods of Crawl Space Encapsulation? Before you schedule your encapsulation appointment, you will want to ask your contractor about the methods that they will use to seal off your crawl space area. 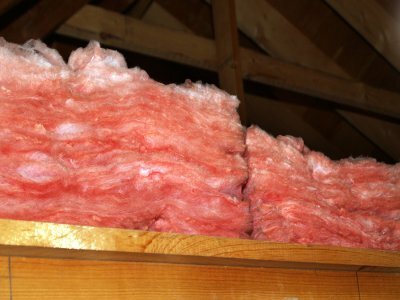 One of the most common crawl space encapsulation techniques is to place several layers of plastic sheeting around the crawl space area. The plastic sheeting will seal off the crawl space and keep it clean and dry. How Can Crawl Space Encapsulation Benefit My Home? If your crawl space is continually flooded with moisture, your home may suffer from serious structural problems. By setting up crawl space encapsulation, you will be able to prevent the damaging effects of flooding, excess humidity, and mold. Over the years, crawl space encapsulation will benefit your home by keeping it structurally sound. 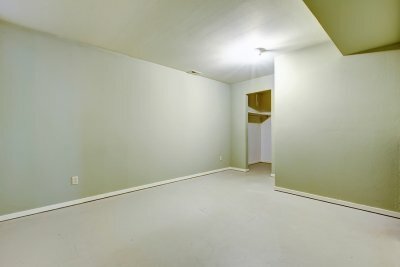 Can Crawl Space Encapsulation Increase My Comfort? Crawl space encapsulation can provide you with comfort benefits at home. When you encapsulate your crawl space, you will be able to help your HVAC system operate more efficiently. Since your heating or air conditioning will no longer send climate controlled air to your crawl space, your other rooms will remain at a more comfortable temperature. Throughout the seasons, you may find that your energy bills are lower after your crawl space procedure has been completed. Water damage can pose a serious health and safety threat to yourself and your loved ones. 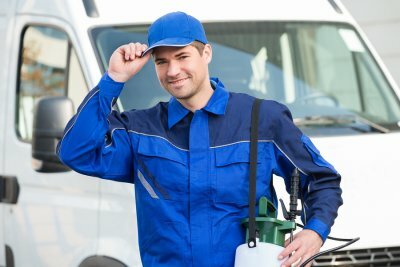 To help you decide when it is time to set up basement waterproofing serving Baltimore, you will want to be on the lookout for the signs of excessive moisture on your walls. 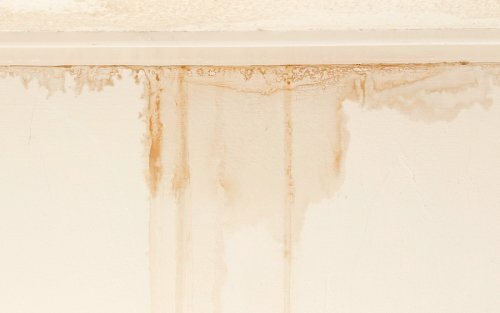 When your walls contain moisture, you may notice condensation on the surface of your drywall. Other signs of humidity and moisture problems include water stains on your ceilings, walls, or floors, as well as black mold growth. If you are worried about water in your basement or behind your walls, be sure to get in touch with a basement waterproofing contractor . From mold removal to basement waterproofing and more, your contractors can offer the services that are required to protect your home from moisture and water damage. Rather than attempting to repair your moisture problem yourself, you can achieve the best results when you hire a team of professionals.